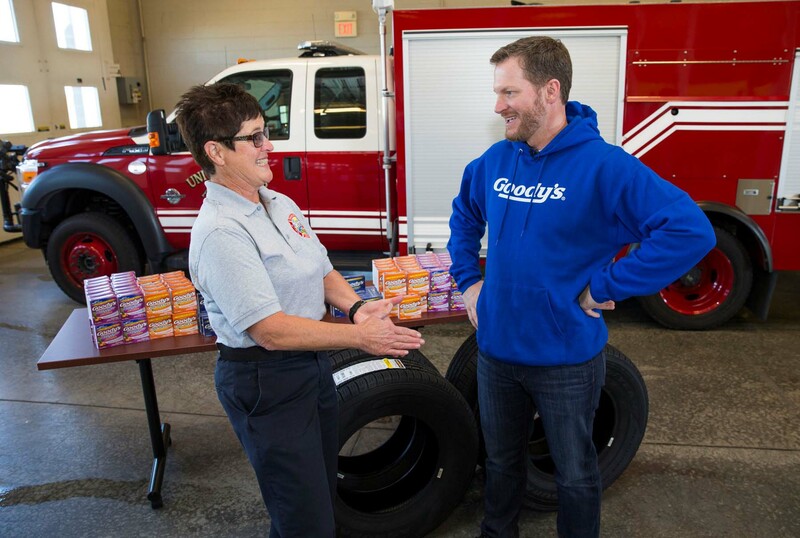 CHARLOTTE, N.C., October 27, 2017 — Today, Goody’s® Powder partnered with Dale Earnhardt Jr. to surprise a local Charlotte fan with some “Fast Relief.” Kim Homme, a retired 25-year captain of the Charlotte Fire Department and longtime Dale Jr. fan, was treated to a special Goody’s® Fast pit stop experience along with a new set of Goodyear tires for her vehicle. 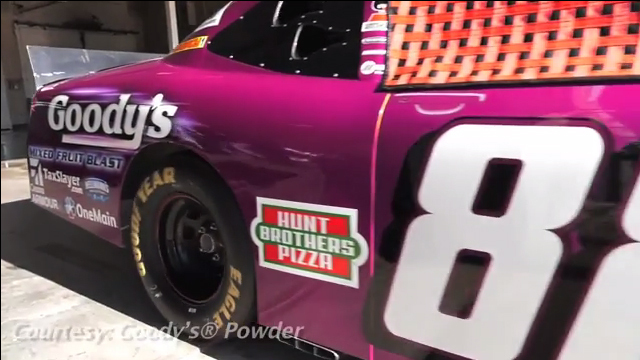 Homme had no idea that Dale and the Goody’s® crew were stationed inside the Fire Department. 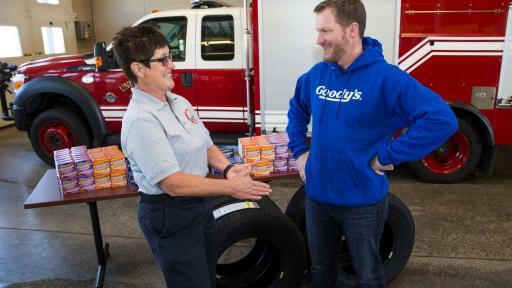 Members of the Charlotte Douglas Airport Fire Station, where she currently works for the Air National Guard as an airport firefighter, were on hand to help celebrate the moment and watch the crew perform the Goody’s® Fast pit stop. 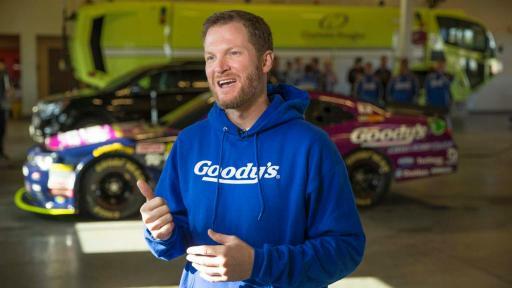 In addition to the Goody’s® Fast pit stop, Goody’s® provided Homme with tickets and a trip to see Dale Jr.’s final NASCAR Cup Series race as a full-time driver at Homestead-Miami Speedway and supplied the Charlotte Douglas Airport Fire Station with a year’s worth of Goody’s® Headache Powder and signed gear from Dale Jr.
Goody’s® Powder, part of the Prestige Brands portfolio (NYSE-PBH), became the first non-automotive sponsor in NASCAR in 1977 when it signed the legendary Richard Petty as a spokesperson. 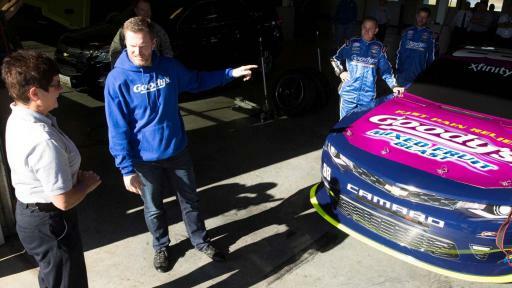 Petty’s continuing partnership with Goody’s® thus started one of the longest-running relationships in sports promotion. 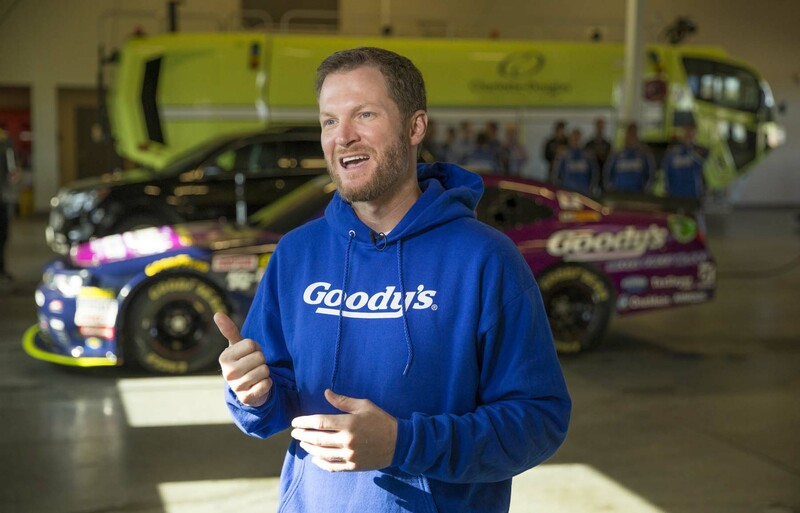 Goody’s® NASCAR family expanded in 2013 with Earnhardt Jr., a third generation NASCAR driver and two-time DAYTONA 500 winner. 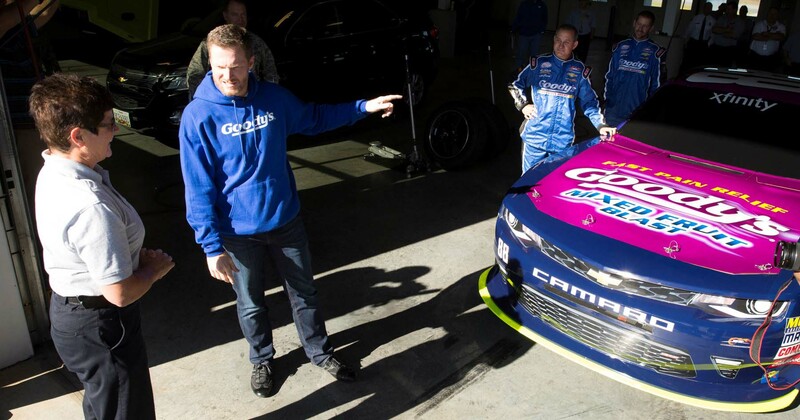 He has won the National Motorsports Press Association Most Popular Driver Award for 14 years in a row. For more information about Goody’s® fast pain relief products, visit www.goodyspowder.com. About Prestige Brands Holdings, Inc. The Company markets and distributes brand name over-the-counter and household products throughout the U.S., Canada, Australia, and certain international markets. Core brands include Chloraseptic® sore throat treatments, Clear Eyes® eye care products, Compound W® wart treatments, The Doctor’s® NightGuard® dental protector, the Little Remedies® line of pediatric over-the-counter products, Efferdent® denture care products, Luden’s® throat drops and Dramamine® motion sickness treatment, Debrox® earwax remover, Beano® digestive aid, Gaviscon® antacid in Canada, Monistat®, Nix®, BC® and Goody’s®.